This lodge at Gangtey in the Phobjika Valley, is a lovely boutique property with excellent views across the valley, wood burning stoves and well fitted bathrooms. The hotel has a cocktail bar, restaurant and a traditional hot stone bath facility (payable locally). The facilities, together with the delightful location, make it our top choice for exploring Gangtey and the surrounding countryside. Originally built for the coronation of the 4th King in 1974, this attractive hotel stands on a hill overlooking Paro town. Accommodation is spread between the main building and a number of cottages in the grounds. 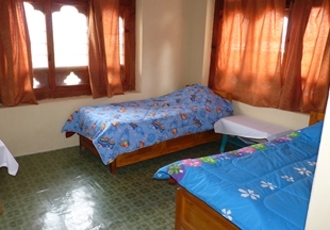 Bedrooms are of a good standard, the staff are friendly and decoration and furnishings are of typical Bhutanese style. 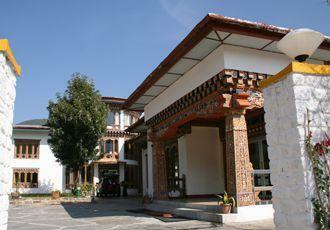 This is an ideal tourist class hotel for exploring the sights of Paro. The Damchen Resort is a newly renovated hotel sitting on the banks of the river in the Punakha valley. Rooms are clean and bright with wooden furniture and nice decorative touches. 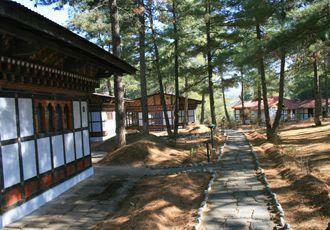 The hotel is a short, level walk from the small town of Khuruthang, close to Punakha. 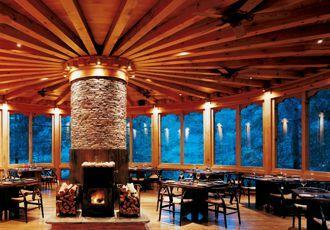 Uma Paro is a boutique luxury resort situated on a hill overlooking Paro and offers five-star comfort and style. A converted nobleman’s house, it retains a great deal of its original architectural features and character. Accommodation is in beautifully decorated and well-appointed rooms or villas and the resort has an excellent restaurant. There is also a spa offering a range of therapies and treatments. For a truly authentic glimpse of Bhutanese rural life, spend a night or two in a homestay. Accredited by the Bhutanese Tourist Council, we can offer several homestay options in the Gantey Valley that offer simple accommodation together with extras such as hot stone baths, cookery classes and farm tours. 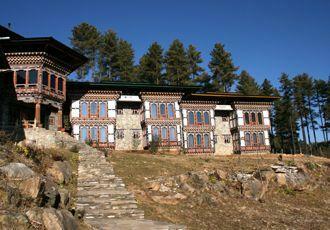 The Namgay Heritage offers an excellent base for exploring the many sights of Thimphu. Recently restored, this characterful hotel combines many traditional features with modern-day comforts and facilities. It has an indoor pool, gym, bar and restaurant, whilst the generous-sized rooms come complete with fridges, minibars and jetted bathtubs.